A lot has happened since 9/16/13 when we published one of our most popular posts to date, 22 Shocking Stats About Millennials To Help You Chart Tomorrow’s Change. Why fix something that isn’t broken. Instead, we are offering up more relevant statistics about Millennials as employees, leaders, entrepreneurs, consumers, and even parents. 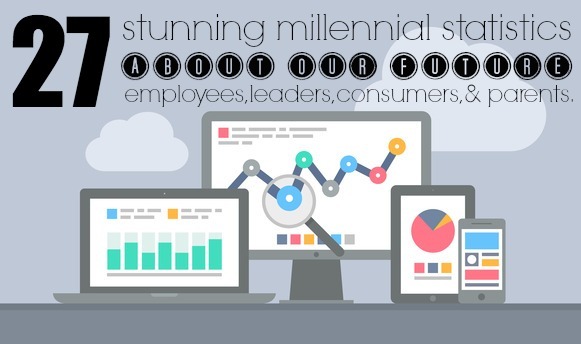 The more you know about the Millennials the better equipped you’ll be to lead, communicate, and market to them. 31% of Millennials say working with creatively-minded colleagues was important to them. Share the post "The latest stats about Millennials"